A curated travel guide to the islands of Malta. Resting virtually in the center of the Mediterranean Sea, Malta offers a rich cultural history seen nowhere else in the world. Resting virtually in the center of the Mediterranean Sea, Malta offers a rich cultural history seen nowhere else in the world. Explore a wondrous array of sites created over 7,000 years, from prehistoric temples to medieval cities to contemporary art galleries. You'll find influences from Malta's neighbors, conquerors, and heroes, most notably the Knights of St. John. With three UNESCO World Heritage sites, many consider the islands of Malta an open-air museum. Sunny days and crystal blue waters greet those seeking adventure or relaxation. Compass & Key brings you four itineraries for wandering the islands of Malta. As with all of our guides, you are encouraged to use these itineraries as a starting point to make your own memories. Avoid summer and opt for the fringe months of May/June or October/November, when temperatures are pleasantly warm and the crowds have dissipated. Malta hosts an incredible array of festivals throughout the year. Expect innovative art exhibitions, musical performances, and much more as Valletta celebrates its designation as a European Capital of Culture in 2018. Compass & Key recommends Malta's capital, Valletta, as a home base for exploring the region. Hotels range from grand beachside resorts to stylish boutique hotels, and these three are our picks. For the entire curated list of hotels in Malta, visit the Compass & Key Hotel List. The Westin Dragonara Resort ($$, westinmalta.com) is perfect for anyone seeking the amenities of a large resort but prefers to be within walking distance of the sites. This 5-star hotel includes two pools, three bars, and four restaurants, as well as a casino and shoreline access. We enjoyed dining and drinking outdoors on the many terraces, and despite the size, the hotel never felt overly crowded or noisy. Casa Ellul ($$, casaellul.com) offers a glimpse of life in a Victoria-era home in the center of Valletta, with Neo-classical period elements - carved moldings, patterned tiles - in the common areas and central courtyard. Upstairs, there are nine modern suites, three with private rooftop terraces overlooking Valletta. Casa Ellul is part of both the Small Luxury Hotel (SLH) and Mr. and Mrs. Smith collections. The Phoenicia Hotel ($$, campbellgrayhotels.com) is an iconic historic hotel that was refurbished in 2017. Standing just outside Valletta's city walls, the hotel is still within easy walking distance of the sites yet has room for a peaceful garden and heated infinity pool overlooking the harbor. The style is bright, airy, and fresh. It is a Leading Hotel of the World (LHW) and part of the Tablet collection of hotels. Hotel Ta' Cenc & Spa, Gozo ($$, tacenc.com) provides a peaceful respite on Malta's sister island of Gozo. This 5-star hotel is surrounded by nature and offers three restaurants and its own private rocky beach (during the high season), accessible via a short shuttle bus ride. Expect a fusion of Italian, French, Mediterranean, and British influences in Maltese cuisine. Fresh seafood can be found throughout the variety of restaurants across the islands. Traditional specialties revolve around rabbit (fenek), the local fish (lampuka), and filled pastries (pastizzi). Here are three restaurants to earmark for your visit, but a complete list of recommended restaurants can be found on our interactive map. Helmed by two sisters, this family restaurant is consistently awarded top marks for its cuisine. Down the narrow alleys of Mdina's cobblestone streets, the hidden courtyard of this Mediterranean restaurant glows in the evenings. Hop the ferry to Gozo and seek out this family-run seafood restaurant on the far side of the island with fabulous water views. The Maltese Archipelago, which is essentially in the center of the Mediterranean sea, is easily accessible from major European hubs through its airport, Luqa Malta International (MLA). From the U.S., expect to connect through London, Amsterdam, Rome, or Brussels. A high-speed ferry is also available from Sicily (about 2 hours). Once at the airport in Malta, taxis and a modern bus network service the major cities. We took a 20-minute taxi from the airport to reach our lodging in Valletta. Walking is the best way to explore the city centers, especially Valletta, much of which is pedestrianised. Hikers will love the variety of countryside walks available for any difficulty level. To get around Malta, taxis are readily available, or opt for the reliable bus system. To reach the neighboring island of Gozo, hop the 20-minute Gozo Channel ferry from the northern part of Malta. If you plan on taking public transport, purchase an Explore card as a seven-day unlimited pass (from €21) or 12 single journeys (€15). During our Malta vacation, we primarily used taxis because we were with a large group. The ferry was easy to reach for a day trip to Gozo, and once there, we hired local guides to take us around the island in their taxis. Compass & Key has curated four itineraries for wandering the islands of Malta. Scroll below the map overview and click on the name of each itinerary for a dynamic map and guide. 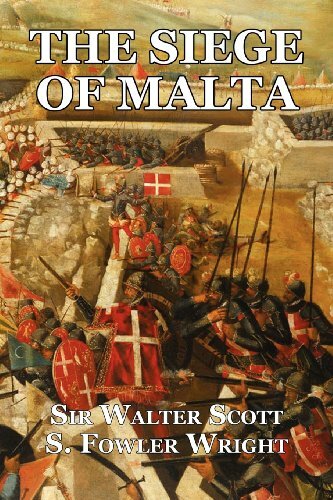 A collection of our must-have books about the islands of Malta. Click on the images to purchase online through Amazon, or note the titles and go to your favorite local bookstore. 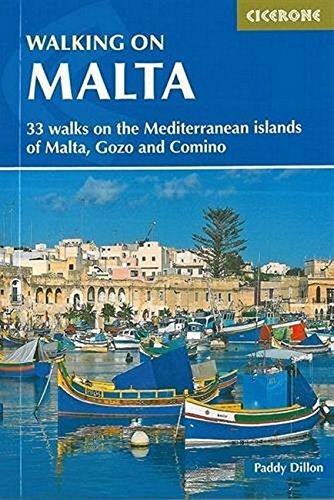 If you love to hike, this book features 33 walks along the coastline and inland, showcasing the heritage and history of Malta. 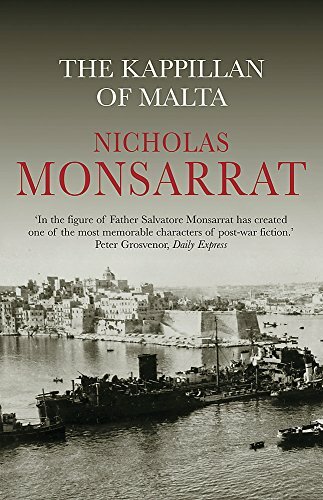 Monsarrat highlights the triumphs and struggles of daily life in Malta in his novel set during World War II. Experience the 1565 Ottoman invasion through the eyes of the Knights of St. John in this piece of historical fiction. Visit Malta, the official tourism website, where you can learn more about the sites of Malta. Check out the countryside walks and live webcams before your trip. Visit Gozo, the tourism site for Malta's sister island, including their own unique countryside walks. Valletta European Capital of Culture, with listings of all 2018 events and festivals. Heritage Malta, featuring extensive information on the ancient temples, museums, and other popular visitor sites around Malta and Gozo. Malta Public Transport, with a trip planner and information about tickets. Peruse our curated selections of restaurants, hotels and more unique sights through our interactive map of Malta, including the island of Gozo. Click on the circular tag icon in the upper right corner to filter the map by category. For a fullscreen view, click here, although the filter function is not available. OR, take the Compass & Key map of Malta with you by downloading the Mapstr app and following us @compassandkey. Malta has long been on my wish list, and I'm so thankful our cruise itinerary included the fabled island, standing like a fortified rock between Sicily and Africa. With the help of the wonderful Malta guide Amy Pace (pacee@vol. net. In the 1960s, locals discovered a secret passageway in one of the oldest churches in Malta. Within, they found a wooden shoe sole, a small wooden cross, three coins, pieces of pottery, chainmail armour, and a large pile of human bones. St. Catherine's Old Church sits on the outskirts of Żejtun. Old Valletta has seen some intense years: 1565, for example, when it was besieged by Ottoman forces; and 1941, the height of the Axis powers' attempts to bomb or starve Malta into submission. But 2018 looks set to be an equally memorable, and much less harrowing, time, as more than 400 projects mark its year as European Capital of Culture.